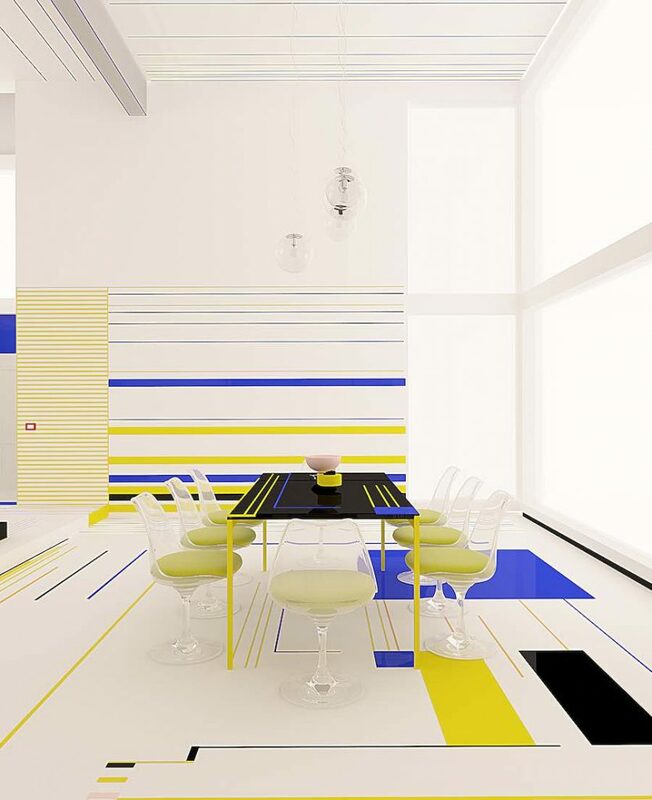 Breakfast with Mondrian concept-apartment by Brani & Desi – All photos: courtesy of Brani & Desi. 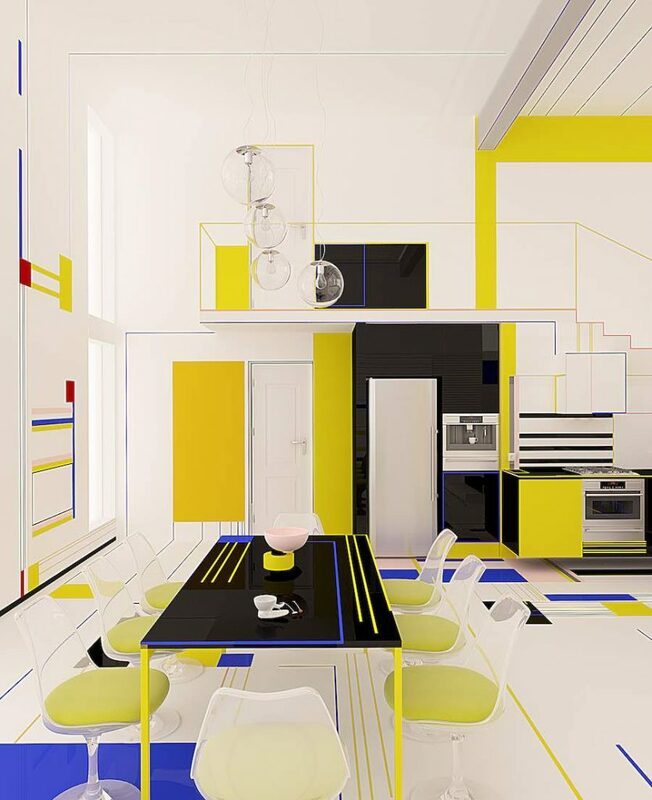 Interior design – Bulgarian studio Brani & Desi translated the aesthetics and art values of Dutch artist Piet Mondrian into the Breakfast with Mondrian concept-apartment. 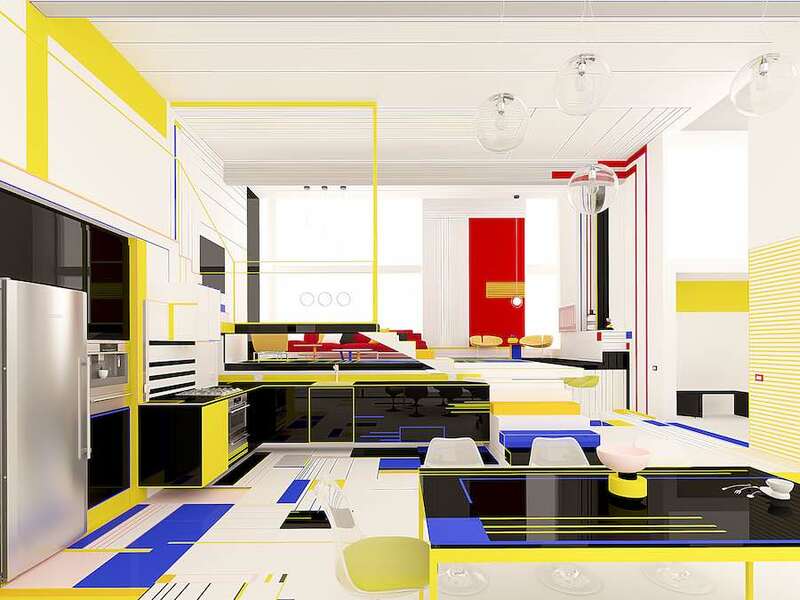 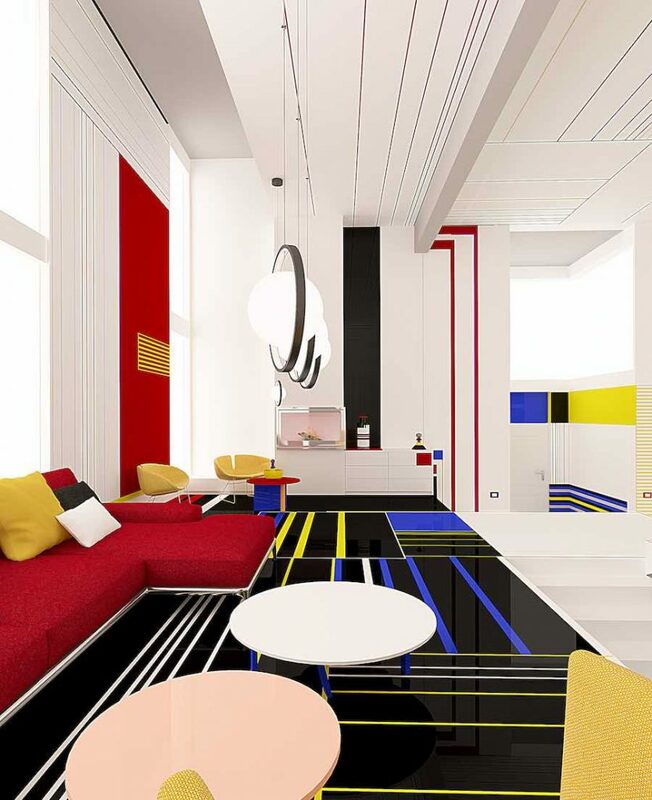 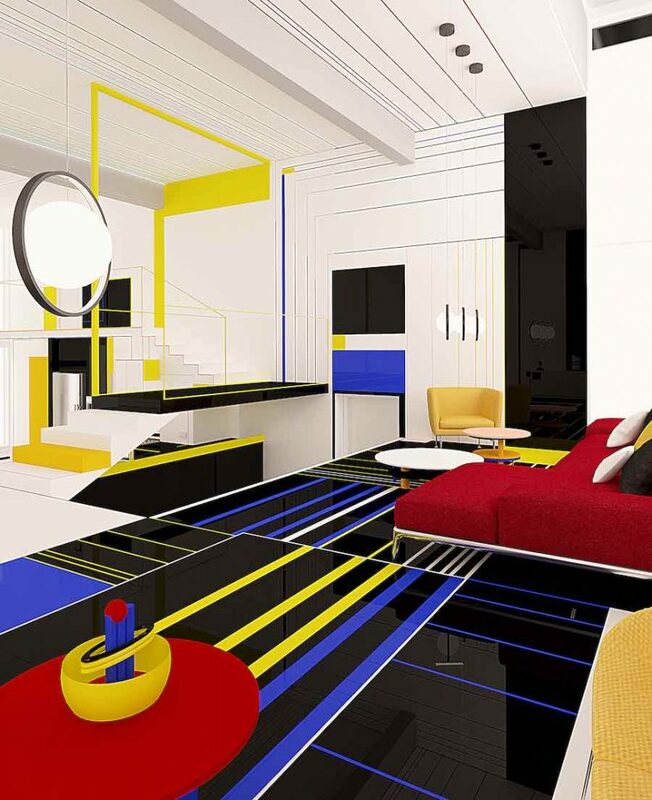 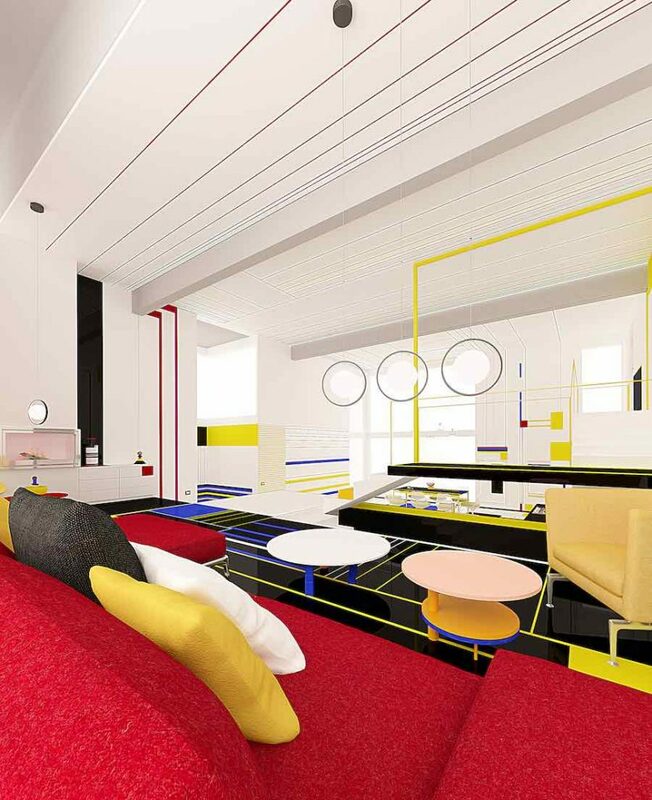 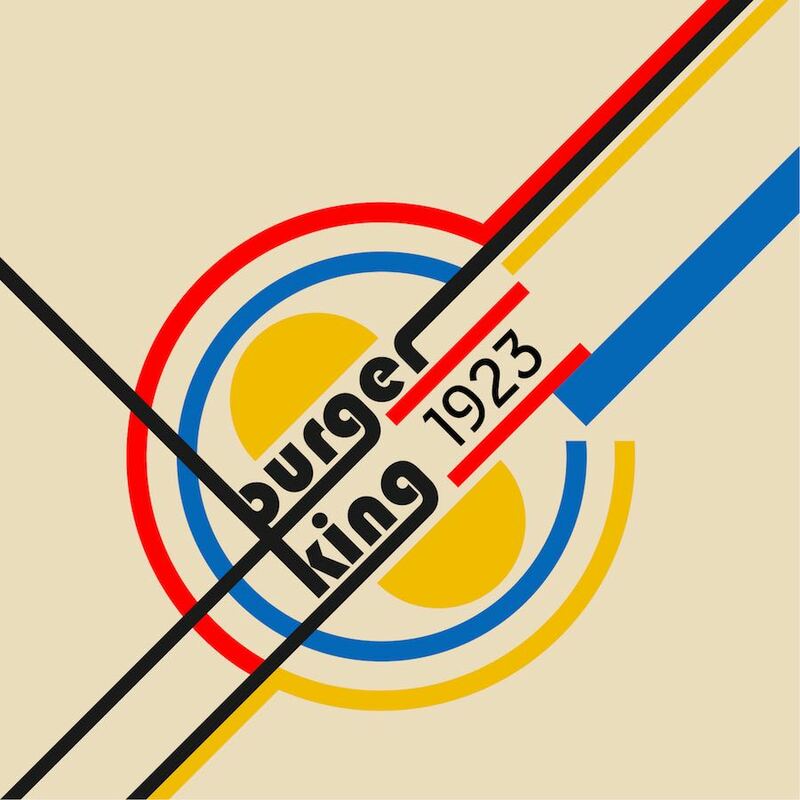 Horizontal and vertical lines and primary colours dominate the interior design celebrating the 20th anniversary of the death of the artist, one of the founders of the De Stijl art movement. 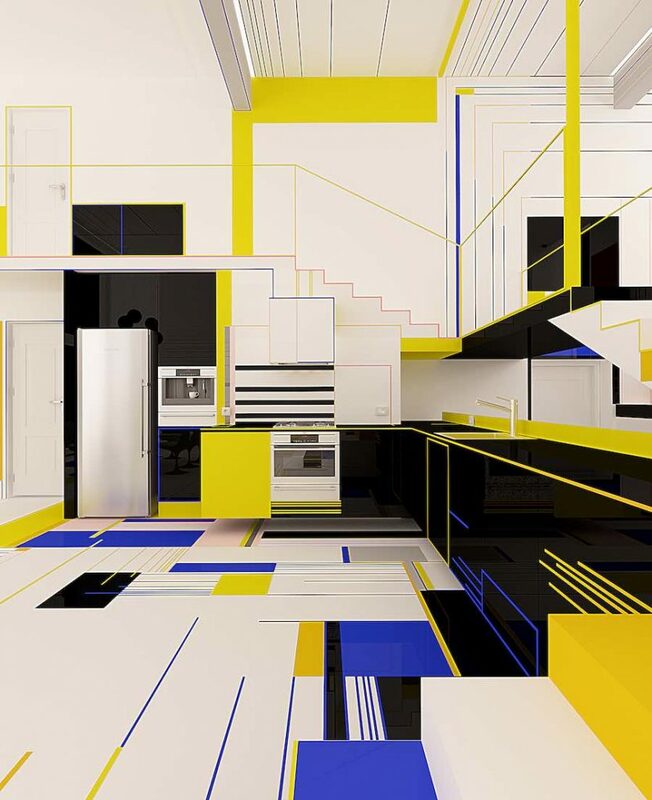 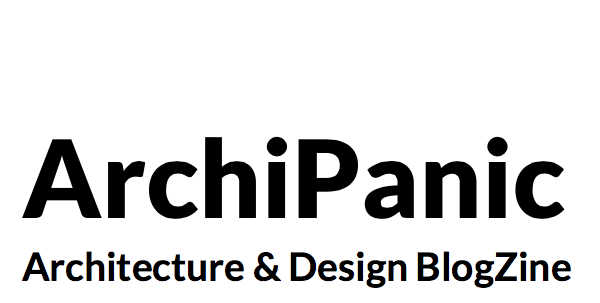 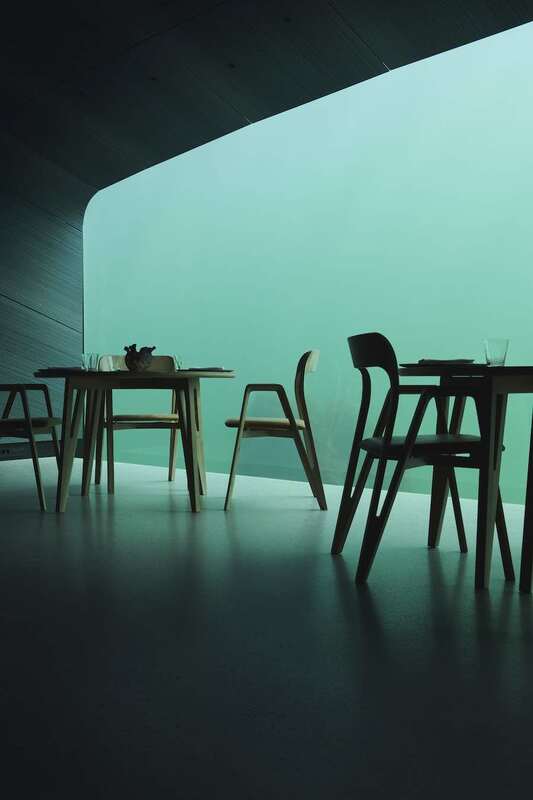 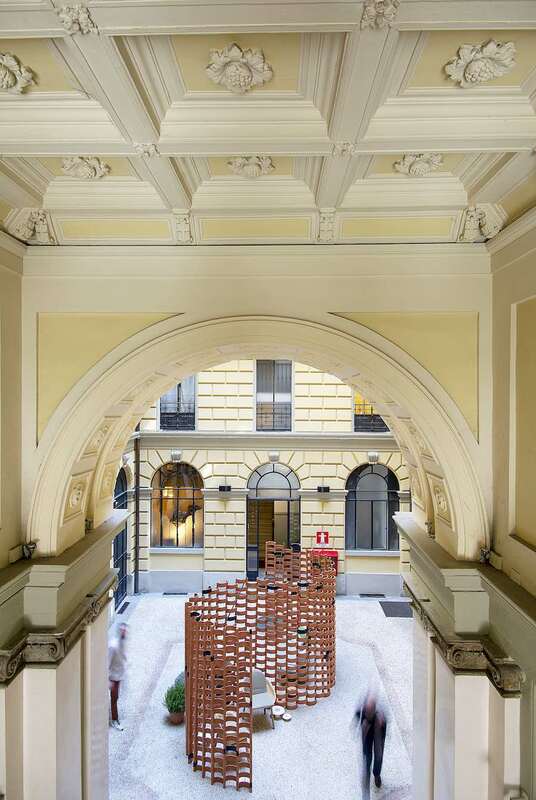 Breakfast with Mondrian features “an experimental interior design where the use of forms, lines and colors focus on the positive impact on its inhabitants,” explain Brian & Desi co-founders Branimira Ivanova & Desislava Ivanova to Archipanic. 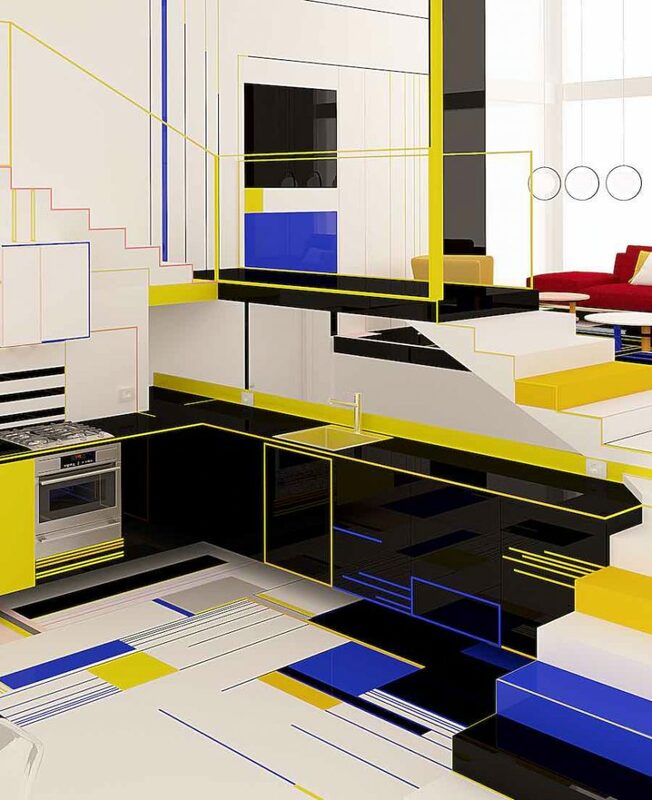 “I wish to approach truth as closely as is possible, and therefore I abstract everything until I arrive at the fundamental quality of objects,” used to say Piet Mondrian. 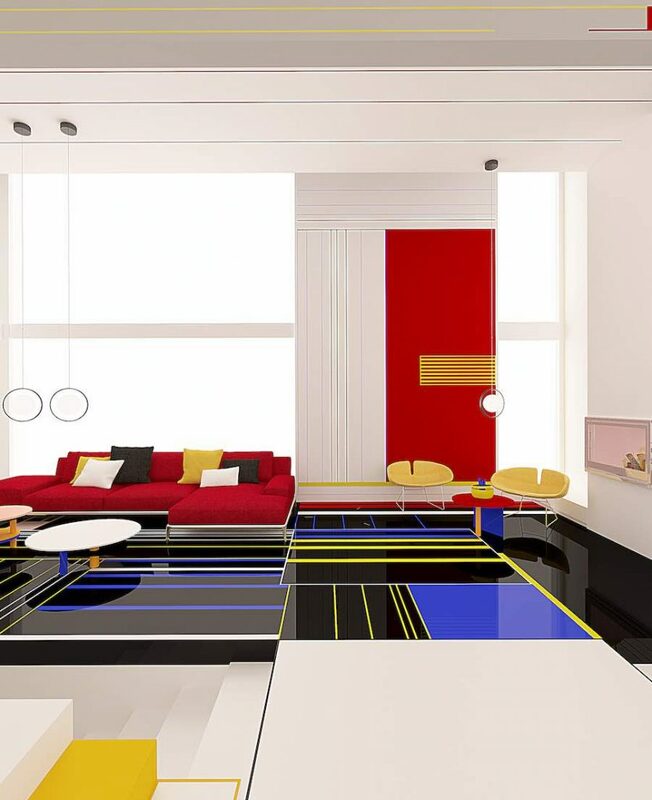 Considered one of the greatest artists of the 20th century, Mondrian aimed is to provoke positive emotions to the viewers and make them feel like they were dancing while watching his paintings. 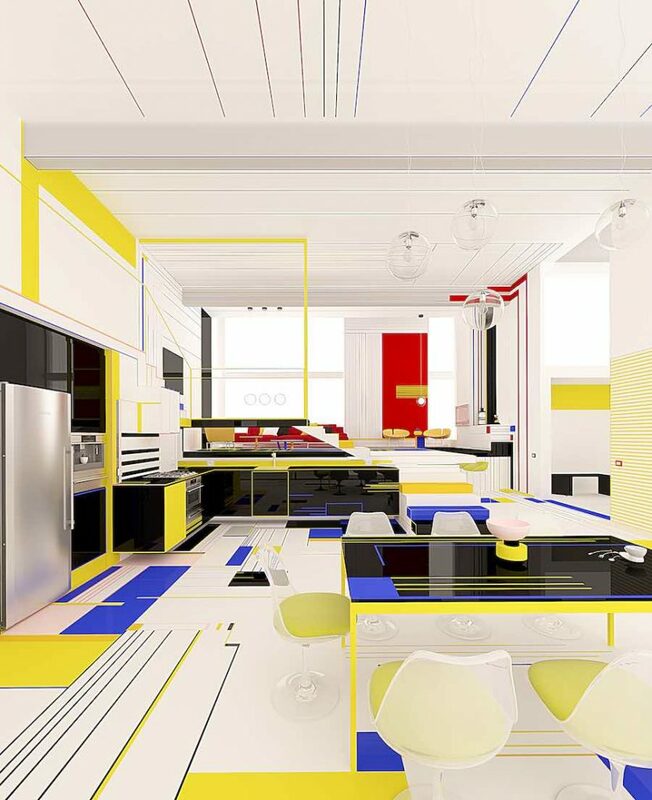 The experimental Breakfast with Mondrian apartment was conceived as an open space. 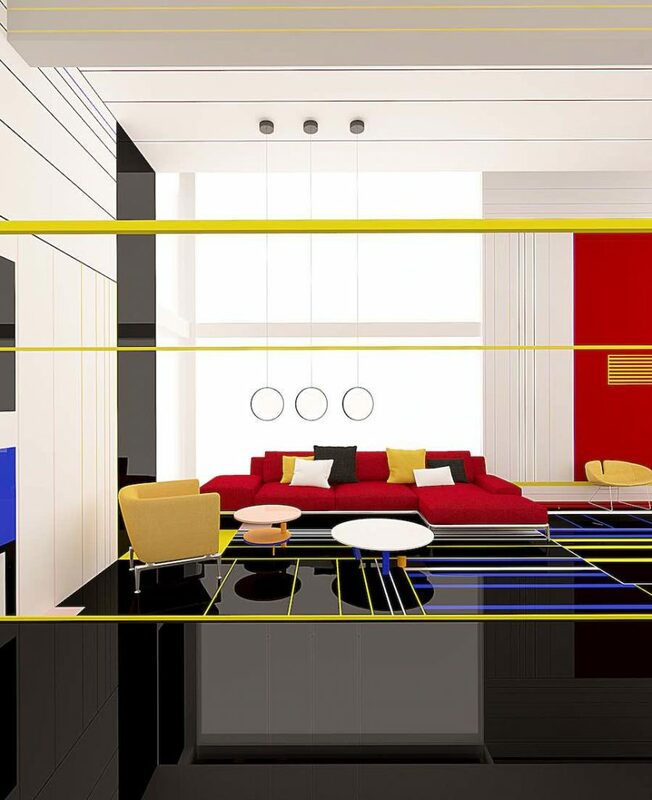 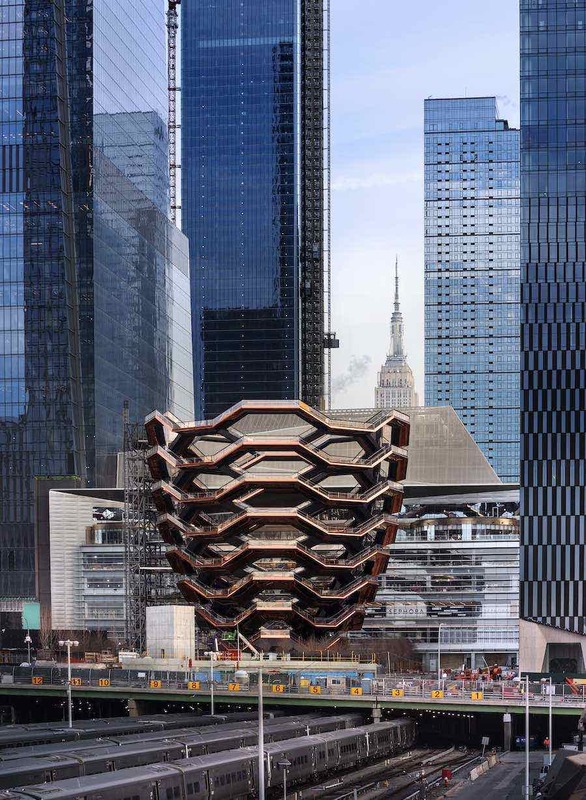 While every area has its own particular function all the different zones are visually connected together creating one single living environment. 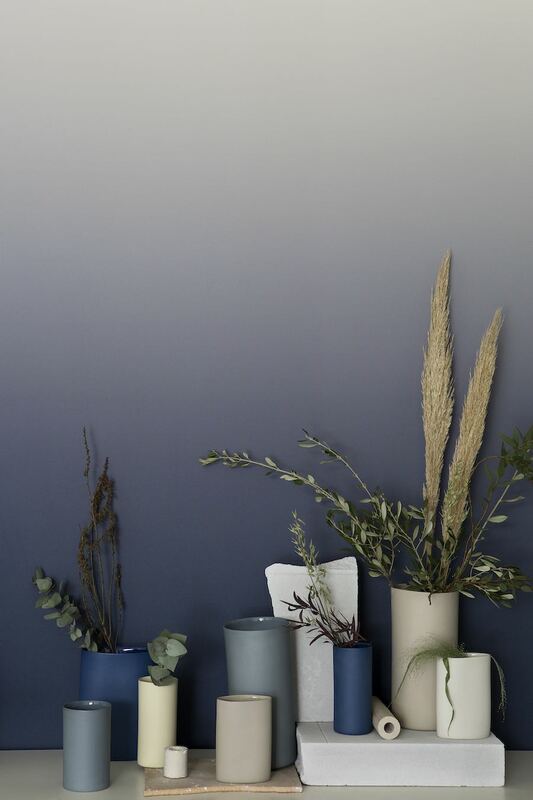 All photos: courtesy of Brani & Desi.